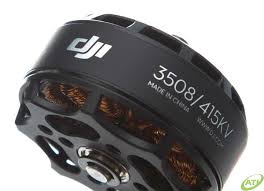 The DJI E600 Tuned Propulsion System for QuadCopters provides an all in one solution for the QuadCopter builder. The E600 system delivers greater aerodynamic efficiency and a higher thrust-to-weight ratio from the 12 x 4.2 propellers, while increasing reliability, stability and agility and is compatible with multi-rotor platforms. The E600 kit is suppled with the DJI E600 20 Amp Opto ESC's which have a high efficient and quick response algorithm allowing for extra maneuverability and stability in wind or during descent, EMF is reduced by using coaxial-cable to power the ESC's which gives a better environment on the airframe for the systems to function. The E600 kit has the self-tightening propeller system seen on the Phantom 2 series, this prevents incorrect installation of propellers and contunually applies pressure to the blades to keep them in place, no more propeller nuts coming off in flight.